 Enkay offers end-to-end hospitality ICT infrastructure solutions using the state of the art technology solutions from global leaders ensuring seamless voice & data connectivity, free flow of information, scalability, capability and affordability. By undergoing a digital transformation, and by selecting and integrating the right technology, hotels can create unique, personalized guest experiences while creating a clear differentiator from other properties which starts right at the time of booking till guests check out. This translates into increased revenue from improved guest satisfaction, increased service purchases, and return bookings. High level of automation through our new generation audio-visual solutions and Wi-fi solutions enables banquet halls, meeting rooms, guests rooms, lobby, restaurants and other areas delight guests thoroughly and offer great working environment to the staff. State-of-the-art IP security & surveillance solutions ensure safety and security of guests, staff and assets and avoid threats and unwanted events proactively. Enkay is a leader in the hospitality industry and is preferred technology partner with the most of hospitality chain. The reason is our deep understanding of hospitality needs and operation and offering the world class products and solutions from global technology leaders not only meeting but overshooting the expectations. End-to-end services right from consulting to design to implement and SLA based professional support from Enkay gives peace of mind to hoteliers and hence helps them to focus on their core business and improving profits.